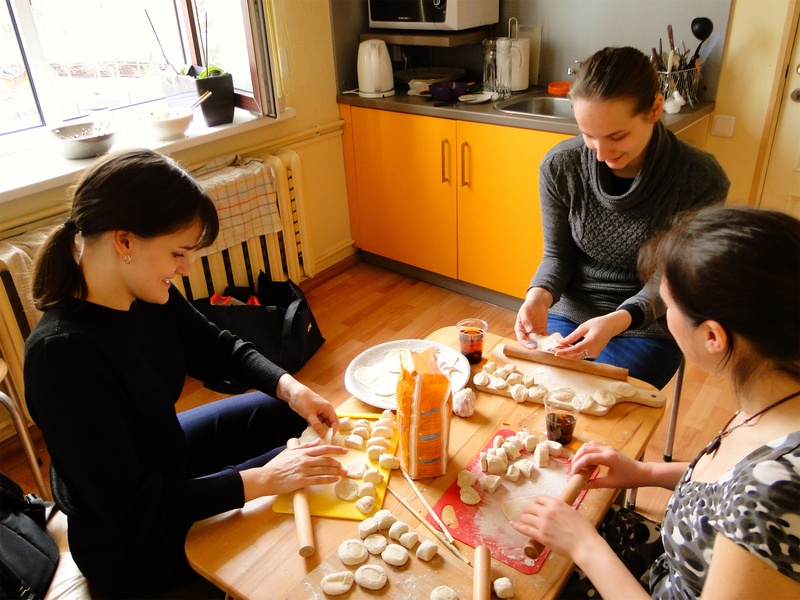 Local time on April 16th afternoon 2018, a Chinese culture experience activity“Approaching China,Making Dumplings ”was held by Chinese volunteer teacher Zhu Yue in Latvian Academy of Culture. The participants of this activity were students who came from Modern Chinese class and teachers from Latvian Academy of Culture. Before experiencing making dumplings formally, Chinese teacher explained the dumplings’ special moral and cultural connotations for Chinese people to everyone patiently.The gold-ingot shaped dumpling symbolized fortune and unification, and dumpling making is an important family activity during the traditional Chinese holidays. 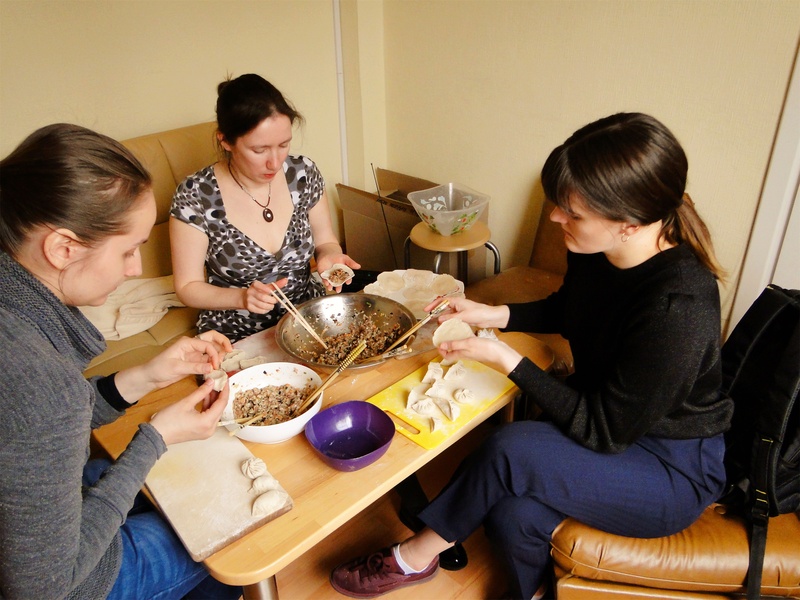 After introducing the materials and making methods of dumplings, students and teachers started the dumpling making experience with great joy.Everyone participated in every step without tiring from making fillings, dough, wrappers to dumplings.Under the guidance of the Chinese teacher, everyone learned how to make dumplings carefully, put the dumpling fillings patiently, twist the dumplings gently. 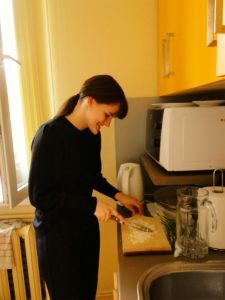 Just a while, some plates of dumplings were completed, attracting other teachers to take pictures.When a pot of fragrant dumplings was cooked, everyone competed to taste, and praised:“delicious, delicious!”repeatedly. 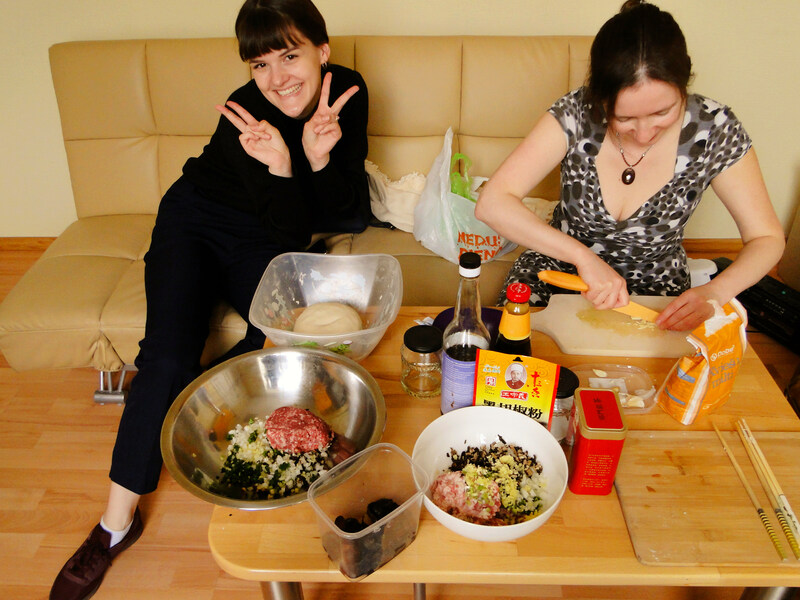 During the short afternoon, students and teachers said:“They not only experienced the fun of dumpling, but also felt the unique charm of Chinese culture.”.